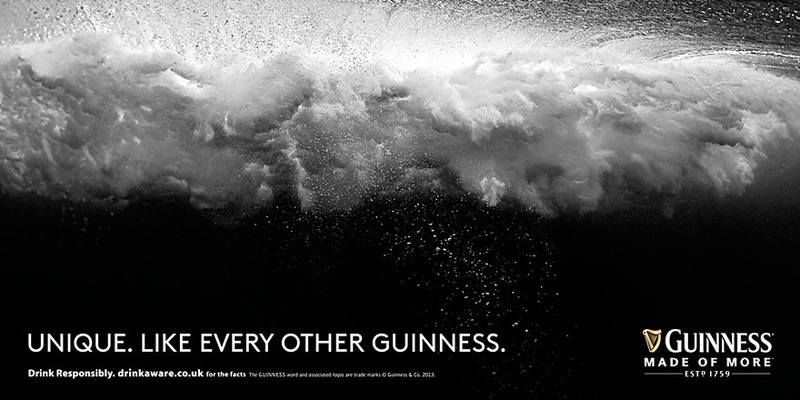 Advertising agency BBDO have teamed up with Hawaiian surf photographer Brian Bielmann for an ad campaign for GUINNESS. "The famous GUINNESS® surge, unique to every pint of GUINNESS, takes centre stage in the iconic brand’s latest campaign which runs until early summer across the island of Ireland. The GUINNESS surge has been celebrated many times in GUINNESS advertising over the years and this new instalment brings to life its elemental power in a new and energetic way. 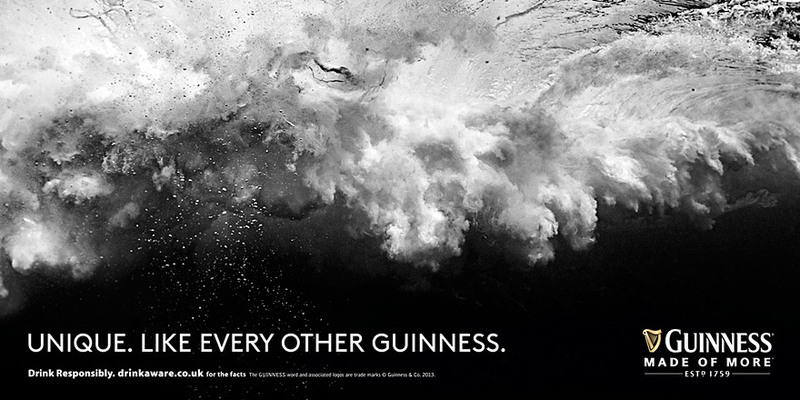 "Created by shooting giant waves beneath the surface of the sea, the epic images reflect the elemental power and beauty of a surging pint of GUINNESS as it is being poured. The images were shot in Tahiti and Hawaii by world renowned surf photographer Brian Bielmann who has worked with the world’s best surfers including Andy Irons and Kelly Slater and whose images have graced over 150 magazine covers worldwide over the years." "We feel privileged to have worked with Brian Bielmann to deliver this new iconic ad, a man who himself reflects the attitude shared by the brand and its drinkers — choosing the extraordinary."